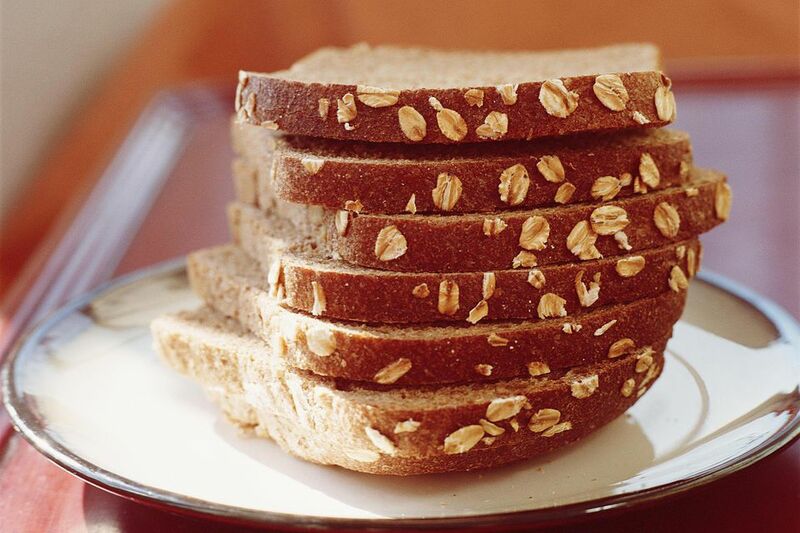 This easy, single loaf oatmeal bread recipe is easy enough for beginners to make and it tastes better than anything you can buy at the store. This is a great bread to make because it can be served at any meal, warm, cold, or toasted. It also makes a delicious french toast. In a large bowl, mix the warm water and yeast together until the yeast is dissolved. Add the milk, sugar, salt, and shortening. Stir. Add the oats and mix well. Add in enough bread flour to make a dough that follows the spoon around the bowl. Turn the dough out onto lightly floured surface and knead for 10 minutes, adding more bread flour as needed until the dough is firm and smooth to the touch. Place the dough in medium greased bowl. Turn dough over in bowl so that the top is also lightly greased. Cover with clean cloth and let rise in warm, draft-free place for 1 hour. Punch down the dough. Turn the dough out onto lightly floured board and knead for 5 minutes or until the bubbles are out of the bread. Shape into loaf and place in greased 8x5-inch bread pan. Cover and let rise in warm, draft-free place for 45 minutes or until doubled in size. Brush egg white on loaf. Bake bread at 375 degrees F for 40 minutes or until the bread sounds hollow when the top is tapped. Remove bread from pan and let cool on rack. To keep bread soft, store in a plastic bag. Store flour properly to keep it from spoiling. You can use any type of milk in this recipe: whole milk, skim, low fat, etc. Milk can also be replaced with water and nonfat dry milk. You can add raisins or dried cranberries to this recipe. Add 1/2 cup of either (or both) to the bread dough. Chopping the raisins before adding them to the dough will release the sweet raisin flavor into the bread as it bakes.